A coal company owned by West Virginia's governor has taken the highly unusual if not unprecedented step of personally suing Kentucky environmental regulators who tried to get the firm to pay its fines and clean up its strip mines. Kentucky Fuel Corp., owned by Gov. 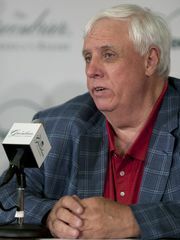 Jim Justice, blames Natural Resources Commissioner Allen Luttrell and Deputy Commissioner John D. Small "for their company's failure to meet reclamation deadlines, potentially costing more than $4.5 million in fines," James Bruggers reports for The Courier-Journal. The state Energy and Environment Cabinet said the suit was an attempt to intimidate the officials and would be vigorously defended. 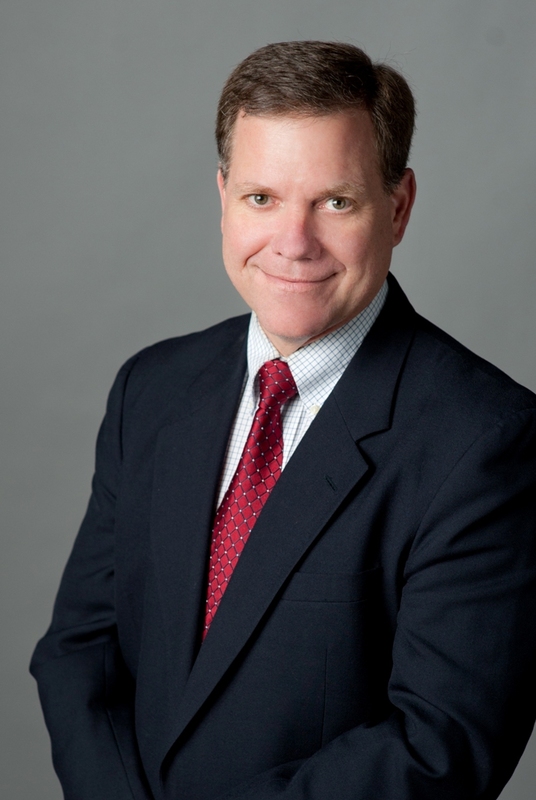 Tom FitzGerald, director of the Kentucky Resources Council and the state's leading environmental lawyer, told Bruggers, "In my 37 years in the natural resources and environment field, I can't recall another instance where a regulated entity sought damages against an agency official in his individual capacity. . . . As a general rule, Kentucky courts have recognized a qualified immunity from tort liability for state agency personnel, subject to exceptions for intentional or malicious actions." Company attorney Richard Getty replied, "When a regulator crosses a line, he ought to be held accountable." Bruggers adds that Getty "said the company is getting close to meeting its reclamation obligations and that regulators were preventing them from doing so." Justice's companies had promised to reclaim, by September 2015, about 10 miles of highwalls left after strip mining. Last month, it told a Frankfort judge that only three miles had been covered, and the state said it had cited the companies for further violations, breaking the agreement and seeking payment of the $4.5 million. The judge said he wouldn't order that as long as reclamation was proceeding diligently. The suit was filed in Pike County, Kentucky's easternmost. 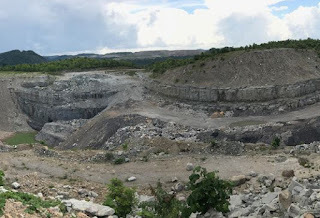 It alleges that the officials interfered with the Justice company's business relationship with a mining firm it had hired to to mining and reclamation on Bent Mountain, some of it on land that other companies had mined and failed to reclaim more than 20 years ago. "America today is as divided as it has ever been, in terms of incomes and opportunities, politics, and, perhaps most importantly, hopes and dreams. Hope matters," Carol Graham, Sergio Pinto and John Juneau III write for The Brookings Institution. "As our earlier work shows, individuals who do not believe in their futures are much less likely to invest in them—as in education, health, and job training. This increases the odds of America becoming even more unequal in the future. These divisions are corrosive to our society, our polity, our civic discourse, and to our health." Losing hope can be fatal. Those who fall behind and despair tend to die earlier from causes such as suicide, drug overdoses, and heart, lung and liver cancers. This trend is most pointed among under-educated, middle-age whites in rural areas. 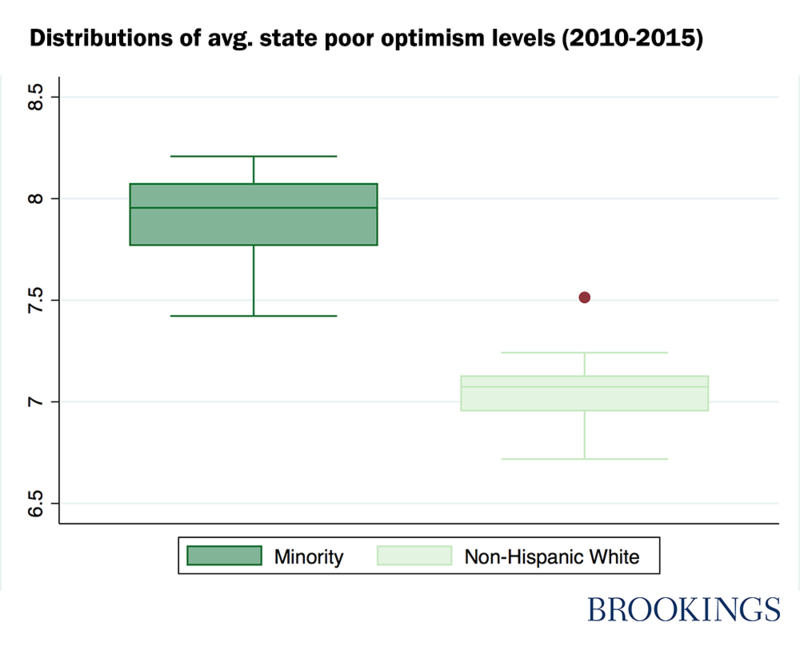 African-Americans and Hispanics tend to be more resilient, even though they're objectively no better off, partly due to higher levels of community and family support, and recent advancement; they tend to report being better off than their parents. A black-backed woodpecker chick peeks from its nest. A debate is raging among scientists, firefighters, government officials, and the public: Should forest fires be allowed to burn? And if so, how much? Scientists know that fires are healthy for a forest: the fires clear away dead branches so undergrowth can get better sunlight, the ash fertilizes the trees and other vegetation, and some organisms need the fires: evergreens like the lodgepole pine produce seeds only after a fire. Some scientists "argue that the century-old American practice of suppressing wildfires has been nothing less than a calamity. They are calling for a new approach that basically involves letting backcountry fires burn across millions of acres," Justin Gills reports for The New York Times. "In principle, the federal government accepted a version of this argument years ago, but in practice, fires are still routinely stamped out across much of the country. To the biologists, that has imperiled the plants and animals — hundreds of them, it turns out — that prefer to live in recently burned forests." That includes the black-backed woodpecker. The John Muir Project of the Earth Island Institute in Berkeley, Calif., has filed a petition to list the black-backed woodpecker as threatened under the Endangered Species Act. "A listing for black-backed woodpeckers would almost certainly require a new approach to forest fires that would include allowing some fires caused by lightning to burn. The lucrative, and scientifically controversial, practice of logging trees just after a fire might well be banned across large areas, since those dead trees turn out to be important habitat for many types of creatures, including the woodpeckers," Gills reports. The Interior Department must rule on the petition by Sept. 30. If it is turned down, environmental groups will likely sue. U.S. Forest Service scientist Malcolm North says the group's efforts to preserve habitats helped by fire are admirable, but go too far in suggesting that even the biggest fires are beneficial. Such fires can imperil human lives and property, like the 2016 wildfire at Gatlinburg, Tenn., that killed 14 people and destroyed over 2,000 structures. Fire-friendly advocates say that redirecting resources from firefighting to fireproofing homes would increase safety, but that's a hard sell. Timothy Ingalsbee, a former firefighter who now runs advocacy group Firefighters United for Safety, Ethics and Ecology, told Gills: "People like to do whatever they damn well please on their own land. But when a wildfire comes, they’re calling Uncle Sam saying, 'Please, come save me.'" Ingalsbee says the families of firefighters killed in forest fires are increasingly suing the government, alleging that fighting the fires is unnecessarily dangerous. "The lives of young people are not worth saving trees that really need to burn anyway," says Ingalsbee. UPDATE: On Aug. 10 President Trump declared the opioid crisis a national emergency. A White House statement said he "has instructed his administration to use all appropriate emergency and other authorities to respond to the crisis caused by the opioid epidemic," the New York Times reports. Among other benefits, "the emergency declaration may allow the government to deploy the equivalent of its medical cavalry, the U.S. Public Health Service, a uniformed service of physicians and other staffers that can target places with little medical care or drug treatment, said Andrew Kolodny, co-director of opioid policy research at the Heller School for Social Policy and Management at Brandeis University. He said the DEA might be able to use the emergency to require prescriber education for doctors and others who dispense opioids," the Times reports. In a July 31 interim report, the bipartisan White House Commission on Combating Drug Addiction and the Opioid Crisis asked President Trump to declare the opioid crisis that's killing more than 142 Americans every day a national emergency. But after an Aug. 8 meeting with members of his administration and health officials, the president declined to do so—yet. "Health and Human Services Secretary Tom Price later told reporters that declaring a national emergency is a step usually reserved for 'a time-limited problem,' like the Zika outbreak or problems caused by Hurricane Sandy in 2012. Declaring a state of emergency allows the government to quickly lift restrictions or waive rules so that states and local governments don’t have to wait to take action. Price said that the administration can do the same sorts of things without declaring an emergency, although he said Trump is keeping the option on the table," Jenna Johnson and John Wagner report for The Washington Post. Price said the president is giving "incredible attention" to the issue. In a brief address to reporters, President Trump focused on preventative measures, saying that the best way to prevent opioid addiction is to prevent people from using drugs in the first place. "If they don’t start, they won’t have a problem. If they do start, it’s awfully tough to get off," Trump told reporters at the clubhouse at his private golf club, where he is on a 17-day working vacation. "So if we can keep them from going on — and maybe by talking to youth and telling them: 'No good, really bad for you in every way.' But if they don’t start, it will never be a problem." President Trump won over rural voters in opioid-ravaged areas with promises to end the opioid crisis by increasing funds for treatment programs and building a border wall with Mexico to stop the flow of drugs into the country. But detractors say little of that has materialized. The border wall is years from completion, and funds for drug treatment may be effectively cut. "Republicans in Congress have proposed cutting Medicaid in ways that health-care advocates say would reduce access to drug treatment for many, and the president’s budget proposal calls for reducing funding for addiction treatment, research and prevention efforts. Several Republican lawmakers who did not vote for their party’s plan to repeal and replace the Affordable Care Act this summer said that the legislation would make it more difficult for their states to combat the heroin epidemic," the Post reports. According to the bipartisan commission's preliminary report, declaring a national emergency could allow lawmakers to waive a federal rule that restricts where Medicaid recipients can receive treatment. The Department of Health and Human Services would also gain the power to negotiate lower prices with the pharmaceutical companies that manufacture overdose prevention drugs. The price on many such drugs has skyrocketed in recent years, hampering the ability of first responders in small towns with small city budgets to respond to overdoses. For the first time since 1957, the United States is poised to become a net exporter of natural gas. "That's according to data from the Census Bureau and the U.S. Energy Information Administration. While imports of gas are flat or falling, exports continue to rise, and the data give weight to government analysts' conviction that the United States is on track to become a net energy exporter, possibly as soon as within a decade," Nathanial Gronewold reports for Environment & Energy News. The U.S. exported more gas than it imported for four out of the first six months in 2017, selling $593 million in natural gas to foreign countries and importing $566 million from gas pipelines from Canada and as liquefied natural gas (LNG). Exports to Mexico are rising, especially as Mexico relies increasingly on gas-fired power plants. Exports to Canada have risen steadily since the Vector pipeline went into service in 2000. The U.S. remains a net importer of natural gas from Canada, but Canadian imports are slowing since the "shale gas revolution unlocked huge new volumes of U.S. gas reserves," Gronewold reports. Not all natural gas is the same though: imports and exports of natural gas this year overall are about equal at around $4.2 billion each, but the subset of liquefied natural gas sales is much more lopsided: The U.S. has exported $1.7 billion in LNG in 2017, but only imported $346 million worth. LNG exports are poised to grow even more, as Cheniere Energy's Sabine Pass "is now poised to expand export capacity. Freeport LNG south of Houston expects to begin liquefaction and shipments in late 2018 or early 2019. Dominion Energy's Cove Point LNG in Maryland will be in service by the end of this year, the company says. More projects are coming in Corpus Christi, Texas; elsewhere in the Gulf of Mexico region; and at Georgia's Elba Island," Gronewold reports. Proponents of natural gas say natural gas exports will help close the U.S.'s trade deficit; there is no evidence it is doing so yet, but that may change in the future if the natural gas boom continues. The deficit created by goods trade with China and other countries is so large that energy exports have a ways to go before they'll make a substantial dent. Ryan Craig was majoring in history and public relations at Western Kentucky University when his uncle Larry, a rural journalist who was teaching journalism there, told him to try journalism: “You would do a lot more good, and wouldn’t have to worry about having too much money.” He followed in his uncle's footsteps, buying a weekly paper and turning it into a respected watchdog. This week the Craigs won the Al Smith Award for public service through journalism by a Kentuckian, presented by the Bluegrass Chapter of the Society of Professional Journalists and the Institute for Rural Journalism and Community Issues, which publishes The Rural Blog. The awards will be presented at an Oct. 12 dinner. Larry Craig, who died in 2011, was a Baptist minister who took up journalism because he loved to write. At the Green River Republican in Morgantown, the night after he was offered a list of people willing to sell their votes, someone shot through a front window of his office. He got his gun and spent the night there, earning him the appellation "pistol-packing preacher-publisher." His watchdog work extended to the general public; he published names he found on trash at illegal dumps. He loved to tweak politicians, and others prone to self-importance, and could be both deft and blunt. After he became a journalism teacher and told WKU's student newspaper that the Ku Klux Klan was a "putrid cancer on the body of America," a Klan member and sympathizer burned his church. Better journalism is the best answer to the "fake news" meme that has spread to rural journalism from the national political conversation, a news-media panel told about 60 people at the Freeman Chautauqua on July 29, Dana Hess of the South Dakota Newspaper Association reports in the Sioux Falls Argus Leader. “I think journalists are going to get better,” said Cara Hetland, news director of South Dakota Public Radio. "She said journalists need to hear from more people like former Gov. Bill Janklow who was noted for holding reporters accountable if he didn’t agree with their reporting," Hess reports. SDNA Executive Director David Bordewyk said if journalists were more open and transparent about how they report and write stories, they could “go a long way to debunking” the use of "fake news" as a criticism of them and their news outlets. The real, original meaning of "fake news" was false stories, usually written to gain audience. That remains a problem on social media, where people don't like to be told that posts they share are untrue. “People don’t want to be told that what they believe isn’t right,” she said. “They get their fur up a little bit and get defensive.” But she said pointing out the truth would slow the spread of fake news, and "advised people who question the veracity of what they read on the Internet" to check it out at politifact.com, The Washington Post's The Fact Checker or Snopes.com, Hess reports. of its storefront with its story. Civitas Media Group continues to sell newspapers. 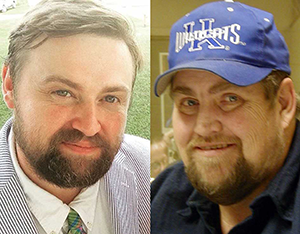 The latest are a pair of twice-weeklies in Kentucky and one in Tennessee, sold this week to Paxton Media Group, based in Paducah, Ky. The Kentucky papers are the Grayson County News-Gazette in Leitchfield and the News Democrat and Leader in Russellville. The Tennessee paper is the Macon County Times in Lafayette, which is about 30 miles from another Paxton paper in Portland, Tenn., which is 30 miles from Russellville. 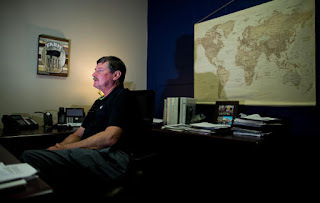 Leitchfield is 55 miles from Owensboro, home of a Paxton daily, the Messenger-Inquirer, from which Paxton Group Publisher Bob Morris will oversee the papers. 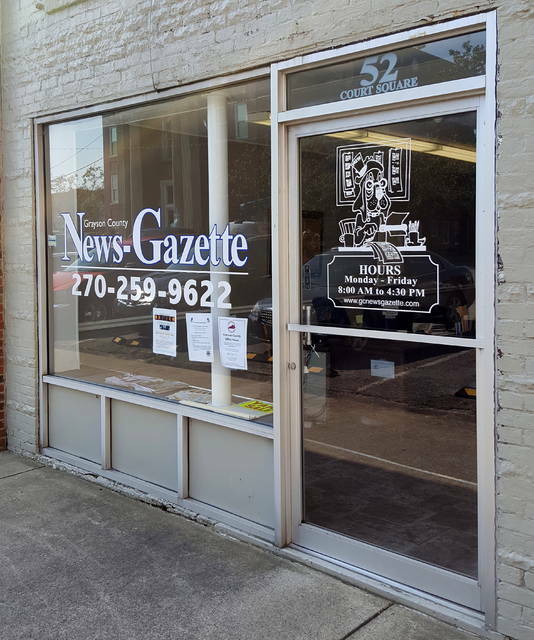 The sale leaves North Carolina-based Civitas with only two Kentucky papers, small dailies in Harlan and Middlesboro in the state's southeast corner. It earlier sold weeklies in Prestonsburg and Hazard, also in the state's economically struggling eastern coalfield. Paxton's purchase of the Leitchfield newspaper was unusual, because the paper has a competitor, and newspaper groups rarely buy into competitive markets. But that has happened before in Leitchfield, when Landmark Community Newspapers bought The Record from its local founder and hired her to run a subscription campaign that gained the paper the in-county circulation lead and the paid public notices that go with it under Kentucky law. A story in the News-Gazette said it would continue to publish on Wednesdays and Saturdays, "and the staff will remain the same." The Leitchfield market is the only one The Rural Blog knows of where newspaper groups own competing weeklies. If you know of another, please tell us. A bipartisan pair of senators introduced a bill Aug. 8 that aims to improve wireless internet access and affordability in rural areas. Republican Cory Gardner of Colorado and Democrat Maggie Hassan of New Hampshire "propose opening up spectrum space for commercial licensed and unlicensed use with the hope that doing so will drive down wireless costs and increase its accessibility," Ali Breland reports for The Hill. "The bill instructs the Federal Communications Commission to auction off the government-controlled spectrum of radio frequencies used for wireless communication, with the first auction to be held by next December," Mariam Baksh reports for Morning Consult. A provision of the bill would set aside 10 percent of the proceeds from the auctions to invest in rural broadband development. Gardner, who represents a state with an area that has possibly the worst internet access in America, said the legislation "offers innovative ways to avoid a spectrum crunch, pave the way for 5G service, and provide critical resources to rural America to continue rural buildout in unserved and underserved areas throughout Colorado and the country." The response has been largely positive. CTIA, a trade group representing the wireless industry, praised the bill for providing "a much needed long-term plan to unlock valuable licensed spectrum as demand for wireless data and content continues to skyrocket," Breland reports. Other stakeholders are more focused on the unlicensed spectrum. Michael Calabrese, director of New America's Wireless Future Project, said in a statement that he wants lawmakers to let unlicensed spectrum users share some frequencies licensed by fixed satellite owners. Companies holding licenses for parts of the spectrum are reluctant to share with unlicensed users, but they may have to. The new bill would require the FCC to "create opportunities" for unlicensed users right above the 5 GHz band, right next to a space licensed by automakers. "The car companies say such sharing could cause disruptions in vehicle-to-vehicle communication," Baksh reports. "The Trump administration is wading into one of the oldest and most contentious debates in the West by encouraging more coal mining on lands owned by the federal government. It is part of an aggressive push to both invigorate the struggling American coal industry and more broadly exploit commercial opportunities on public lands," Eric Lipton and Barry Meier report for The New York Times. The U.S. has 643 million acres of public lands, mostly in the West—more than six times the size of California. More than 40 percent of all coal mined in the U.S. comes from federal land. The Interior Department temporarily banned new coal leases on public lands during the Obama administration, citing concerns about climate change. The administration also ordered mining companies to pay the government higher royalties and eliminated a loophole that coal companies selling to foreign buyers often used to avoid paying as much in royalties. The Trump administration is more sympathetic to mining companies. Led by Interior Secretary Ryan Zinke, a Montanan, it is working quickly to reverse those measures and may reduce the number and footprint of wilderness and historic national monument areas that are off-limits for mining. On Aug. 7, the department officially repealed the Obama-era rule that effectively required oil, gas and coal extractors to pay more royalties to federal and state governments, Dino Grandoni reports for The Washington Post. The Trump administration stayed the rule in February. Richard Reavey, the head of government relations for mining company Cloud Peak Energy, said he was glad for the recent increase in coal production and exports, following a major decline last year. Cloud Peak operates several open pit mines in the Powder River Basin of Wyoming and Montana, the nation's most productive coalfield, which accounts for 85 percent of all coal extracted from federal lands. It ships coal to power plants in the Midwest and Asia. Because so many U.S. coal-burning plants have shut down, Reavey said, overseas markets were the only way mining companies can grow. By restricting federal lands, the Obama administration's goal, "in collusion with the environmentalists, was to drive us out of the export business," Reavey told the Times. Coal companies still have a long way to go before they can open more mines on federal land, "in part because environmentalists have blocked construction of a coal export terminal, and there is limited capacity at the port the companies use in Vancouver," the Times reports. There's other resistance too, not just by Democrats and conservationists. New Mexico and California sued the Interior Department in April to undo Trump's rollback in coal mine royalties. And Art Hayes, a rancher who lives near the Powder River basin, says he worries that increased mining will pollute his stock's water supply. Hayes and a local Cheyenne tribe sued the government in March to challenge the decision to lift the moratorium on new coal leases. The cash-strapped local Crow tribe is more optimistic about the future of coal in the region, since they signed an agreement with Cloud Peak in 2013 to allow the company to extract up to 1.4 billion tons of coal from the tribe's lands. "The tribe estimates the Cloud Peak operations could generate $10 million in payments for a community where the unemployment rate in June was 19.4 percent, five times the state average," the Times reports. "Coal, for us, is the ticket to prosperity. We are rich in coal reserves. But we are cash poor," the tribe's vice secretary Shawn Backbone told The Times. But Cheyenne Donna Fisher says preserving the area is more important. "We are wealthy in life here," she said. "We don’t have money. But we have land, water and air. Snuff that out and we are gone." The nation is gearing up for the Monday, Aug. 21, solar eclipse, which will cross 14 states from Oregon to South Carolina in about 90 minutes. As excited citizens buy eclipse glasses and book hotel rooms, communities are preparing for the huge influx of visitors and the strain they could place on local infrastructure such as cell phone networks. But another big problem to watch out for? Traffic. About 200 million people live within a day's drive of the path of totality – the narrow cross-country line where the sun will be completely hidden for up to two minutes and 40 seconds. Officials are expecting millions to clog the roads, Jenni Bergal reports for Stateline, the the nonpartisan, nonprofit news service of the Pew Charitable Trusts. Dave Thompson, a spokesperson for the Oregon Department of Transportation, told her: "People are thinking they're just going to pop in, see it, and then turn around and head back home. They're not. They need to be prepared for long backups and have a full tank of gas and stuff in their car like water and food and medications they might need." Transportation officials are concerned about wrecks that could be caused by the congestion, confusion and people pulling onto road shoulders to observe the eclipse. They're particularly worried that drivers might take pictures while driving, or look up at the sun instead of at the road. Looking up at the sun is a no-win scenario: drivers who aren't wearing eclipse glasses could damage their eyes and become temporarily blinded, and those who are wearing eclipse glasses won't be able to see the road. Federal Highway Administration spokesperson Doug Hecox has simple advice for drivers: "Don’t stand on the interstate. Don’t pull your car over. Don’t take a selfie from a bridge. The risk of driver distraction from this once-in-a lifetime event has never been greater. We don’t want anyone to have an 'eclipse in judgment'." Morris Publishing Group, one of the largest family-owned newspaper chains, is selling to one of the largest venture-capital newspaper companies. New Media Investment Group, parent of the GateHouse Media chain, said it will pay $120 million for the 11 dailies and several weeklies owned by Morris, based in Augusta. Ga. The far-flung Morris owns the Augusta Chronicle, the Athens Banner Herald, the Savannah Morning News, the Florida Times-Union in Jacksonville, The St. Augustine Record, The Topeka Capital-Journal, the Amarillo Globe-News, the Lubbock Avalanche Journal, the Juneau Empire and The Peninsula Clarion in Alaska, the Log Cabin Democrat in Conway, Ark. Its 29 weeklies include Beaufort Today, Bluffton Today and the Jasper County Sun Times in South Carolina, The Homer News in Alaska and the News and Farmer in Louisville, Ga. William S. "Billy" Morris will remain publisher of the paper in Augusta, where his Morris Communications is based, and oversee editorial policy for the Georgia papers. The company said in a news release that "focus its business on lifestyle and niche publications, broadband operations, property development and new business." It quoted Morris as saying, "Every newspaper company in America is battling trends and redirected advertising dollars, so it is necessary for newspapers to be part of a large newspaper group to build and maintain the necessary resources to compete." "The deal represents further consolidation of the struggling industry," Rick Edmonds writes for The Poynter Institute. "GateHouse, with more than 120 dailies, offers scale with a centralized editing and production center in Austin and a group of system-wide advertising and marketing products . . . New Media Investment is publicly traded but also has the backing of the huge Fortress Investment Group fund. It has been on a run of acquisitions over the last several years, buying The Columbus Dispatch and Fayetteville Observer among other properties. It has promised to spend $1 billion on acquisitions and with the latest deal is almost there -- at roughly $900 million. An early acquisition was Halifax Media which included what once were the New York Times Regional Group papers." CHICAGO – Online misinformation, or fake news, "is the biggest information challenge in the history of humanity," and local news outlets should do something about it, the media editor of BuzzFeed News told America's largest journalism convention Wednesday night, Aug. 9. "This is a challenge we have never encountered before in the history of human communication," Craig Silverman said in the keynote address to the Association for Education in Journalism and Mass Communications' 100th annual meeting, in Chicago. Silverman outlined the tremendous reach of fake-news publishers based in countries like Macedonia, whose advertising revenue from one social-media post can easily exceed the monthly average income in the Balkan country – which was the source of much misinformation about Hillary Clinton before last year's presidential election. "Misinformation about American politics is actually an international business opportunity now," Silverman said, adding that one 20-year-old in Macedonia is "knocking the pants off a lot of American publishers." He presented results of an analysis of partisan news sites from January 2015 through March 2017, which showed a boom in such sites in the past year. In the question-and-answer session, Silberman was asked how journalists and academics could fight the phenomenon. He suggested that local news outlets hold community media-literacy seminars: "a bottom-up approach, because there's trust among people" of their local newspaper editors. In his speech, Silberman said the topic needs more research, and suggested that academics and journalists collaborate, sharing data and ideas before publication. He said journalists are able to elicit answers from business and government officials that academic researchers are often unable to get. With democratic institutions under attack in the United States and fake-news publishers preying on the public's doubts, he said, "We need all hands on deck with this." Silberman's speech reminded me of a point I made earlier in the day in a panel discussion about the news media at The Louisville Forum. I said journalists must do a better job of explaining how they do their jobs, and if I were publishing a newspaper today, its editorial page and home page would have a standing box saying what the paper stood for, that opinion is separate from news, that readers should blow the whistle when they see otherwise, and that the newspaper follows the principles outlined in the book The Elements of Journalism, by Bill Kovach and Tom Rosenstiel, which says "The essence of journalism is a discipline of verification" – something absent in social media. Grammy-winning Country Music Hall of Fame singer Glen Campbell, who rose from his rural roots to sell more than 45 million records, died Aug. 8 from complications related to Alzheimer's disease at the age of 81. "Campbell was a rare breed in the music business, with various careers as a top-level studio guitarist, chart-topping singer and hit television host," Patrick Doyle writes for Rolling Stone. Campbell was born in Delight, Ark. in 1936, only 30 miles away and 10 years before another famous local, Bill Clinton. "Glen Campbell was an iconic American artist," Clinton said. "His legacy will be his great talent & how he decided to live with Alzheimer's." One of 12 children of sharecropping parents, he never forgot his roots and was known for his "country-fried quips," Adam Bernstein writes for The Washington Post. When asked about his quick rise to fame, Campbell said, "I been busier than a three-headed woodpecker!" 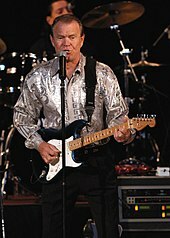 The self-taught singer and guitarist behind such Top 40 hits as "Wichita Lineman" and "Rhinestone Cowboy" started out as a studio musician in the early 1960s, playing rhythm guitar on more than 500 records of all genres. He got a taste of stardom when he filled in for Brian Wilson with the Beach Boys in 1964-1965, and hit the spotlight as a solo singer in 1967 with a slew of Grammies for singing John Hartford's "Gentle on My Mind." He branched out to television with a variety show, "The Glen Campbell Goodtime Hour" and dabbled with acting, in the John Wayne movie "True Grit." But his music and the clean-cut image that went with it were his main draws, even when his real life was at odds with that image. Campbell struggled with cocaine and alcohol addictions, was married four times, and was involved in a tumultuous relationship with singer Tanya Tucker, who was 22 years younger. In 2008 Campbell earned fans from a new generation with "Meet Glen Campbell," "a recording session that included covers of songs by such disparate rock bands as Green Day, U2 and the Velvet Underground," Bernstein writes. "He followed with the well-received “Ghost on the Canvas” in 2011, featuring admirers such as Smashing Pumpkins guitarist Billy Corgan and Cheap Trick guitarist Rick Nielsen." Newly released emails among Department of Agriculture officials reveal that several emails from Trump-appointee Jimmy Bramblett, deputy chief of the agency's Natural Resources Conservation Service, asked USDA staff to change terminology in their reports to downplay climate change. One email "advised NRCS employees to avoid the term 'Climate Change' and to instead use 'Weather Extremes.' Instead of 'Climate Change Adaptation,' the recommended terms include 'Resilience to Weather Extremes.' Rather than 'reducing greenhouse gases,' the emails suggest: 'Build Soil Organic Matter, increase nutrient use efficiency,'" Rene Marsh and Gregory Wallace report for CNN. The NRCS "advises and assists farmers on topics ranging from finance to conservation." The agency says the Trump administration did not request the language change, and that they don't plan to change how they operate, "just how we talk about it," an NRCS official told CNN. Another NRCS official noted that information on climate change remains on the NRCS website, but said that the changes in language reflect that the Trump administration does not view climate change as a priority. Head of the Environmental Protection Agency Scott Pruitt has been famously critical of climate change, and Trump nominee Sam Clovis, who would fill a top post at USDA, has described climate change as "junk science" and "not proven," CNN reports. A shift in the overall official (or unofficial) viewpoint on climate change could have repercussions for rural issues such as economic disparity, fishing, water supply, coal mining, power plant emissions, farming, tourism and more. The feud between the Hatfield and McCoy families is iconic in American lore, but a descendant of the Hatfield side says the families' fight has eerie parallels in today's often volatile atmosphere. Modern liberals and conservatives form tribes and behave "in ways the original Hatfields and McCoys would have easily recognized," Justin Belcher writes for The Huffington Post. He says that the sensationalism surrounding the feud also spurred the birth of yellow journalism, perhaps a precursor of today's "fake news." And the avid news coverage of the feud also served to widen the gap between urban and rural Americans. It encouraged the urban populace to "look down on mountain folk" while rural dwellers were convinced that their urban counterparts had "abandoned American traditions and values." Both then and now, he says, feelings trump facts, and those who urge calm and peace are often ignored. 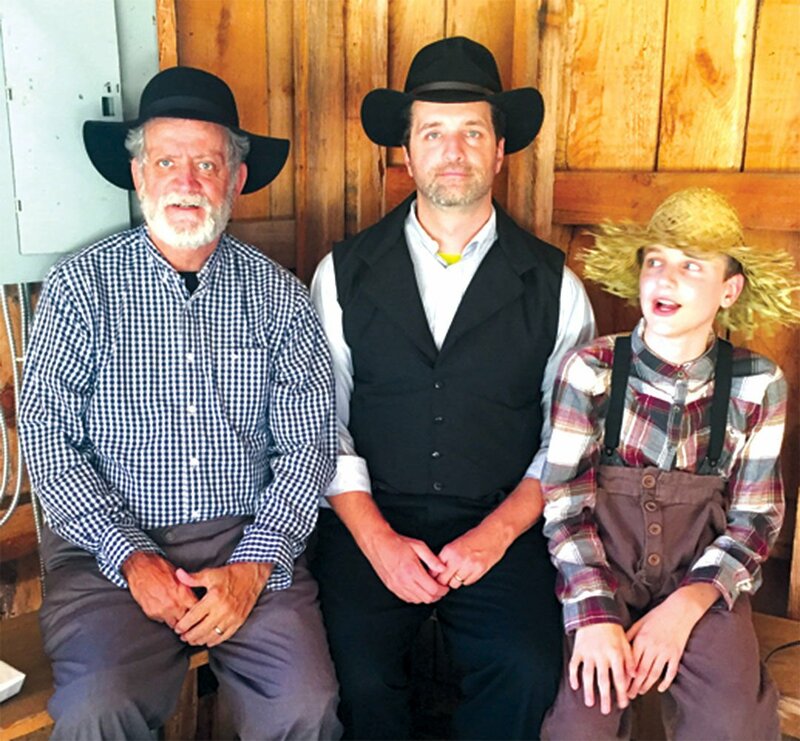 Belcher and other descendants of the feuding families are bringing the past into the spotlight with a new production of a play called "Blood Song: The Story of the Hatfield and McCoys" (click here for tickets and showtimes). The play will run on Fridays and Saturdays in August at the (where else?) Hatfield & McCoy Park Outdoor Theatre in McCarr, Ky., right in the middle of where the original feud took place. Belcher hopes the audience can learn from the past and apply the lessons to today. "Whether they’re part of feuding families, the rural urban divide, or polarized politics, Americans are still neighbors, and neighbors need each other. They also need to learn how to settle their differences amicably and peacefully. America has often undertaken to teach Appalachia how to do things better; today lessons from Appalachia’s past can teach America the same thing." Want weed, will travel? Cannabis-product company American Green Inc. is hoping you will, since it just bought the entire town of Nipton, Calif., to transform it into a niche tourist destination for marijuana fans, Jennifer Kaplan reports for Bloomberg. The former mining hamlet, population 20, is a three-hour drive from Los Angeles and an hour from Las Vegas. Project manager Stephen Shearin says he hopes increasing mainstream acceptance of marijuana could make the town profitable. "The Gold Rush built this city," he told Kaplan. "The Green Rush can keep it moving the way people envisioned it years ago." Recreational marijuana is now legal on some level in seven states, but some Americans continue to be leery. American Green says it embarked on this project in part to educate the public about the benefits of the plant and appeal to a broader audience. The company, which paid $5 million for Nipton, says it plans to invest up to $2.5 million over the next 18 months to revitalize the town, using both existing buildings and new ones powered by renewable energy. Their plans include "a new facility to manufacture water infused with CBD, the cannabis component that is typically associated with reducing pain and inflammation. The new Nipton will also have a production site for edible marijuana products, retail stores, and artist-in-residence programs," Kaplan reports. American Green and other cannabis product companies are hopeful about the future, but wary that government intervention might halt sales. Though marijuana is illegal at the federal level, President Barack Obama had a hands-off policy toward businesses operating in states where marijuana was legal. President Trump's Attorney General Jeff Sessions is notoriously anti-marijuana, though, and may order a crackdown. Ron Prestage was going to build a pork processing plant. A Politico story takes an in-depth look at how President Trump's withdrawal from the Trans-Pacific Partnership has affected rural America. The upshot: It's not great. Because the U.S. withdrew from the 11-nation pact, rival exporters such as Australia, New Zealand and the European Union are negotiating lower tariffs with importing nations. That could undercut U.S. exporters and lower the prices they get for goods. And China, which was never part of the TPP, is taking advantage of the situation to try to take the U.S.'s place as the region's trade kingpin. Pulling out of the trade agreement doubly hits places like Eagle Grove, Iowa, where voters went 2-for-1 for President Trump. A new meat-processing plant was supposed to provide a $10 billion bump to the local economy over 15 years, but the withdrawal from the TPP means that bump won't materialize. And the resulting negotiations by other exporter countries means they will face more competition for their meat. "For much of industrial America, the TPP was a suspect deal, the successor to the North American Free Trade Agreement, which some argue led to a massive offshoring of U.S. jobs to Mexico. But for the already struggling agricultural sector, the sprawling 12-nation TPP, covering 40 percent of the world’s economy, was a lifeline. It was a chance to erase punishing tariffs that restricted the United States—the onetime “breadbasket of the world”—from selling its meats, grains and dairy products to massive importers of foodstuffs such as Japan and Vietnam," Adam Behsudi reports. The industries affected by ongoing trade negotiations are wide-ranging, but the Politico article has a great breakdown. The U.S. Army Corps of Engineers released a draft report Aug. 7 detailing a $275 million plan to keep invasive Asian carp from entering the Great Lakes via Chicago-area canals that lead to Lake Michigan. "The best way to keep invasive Asian carp from entering and wreaking havoc on the Great Lakes would involve a series of water jets, flushing locks and electrical barriers on the Illinois River," Cecelia Smith-Schoenwalder reports for Environment & Energy News. 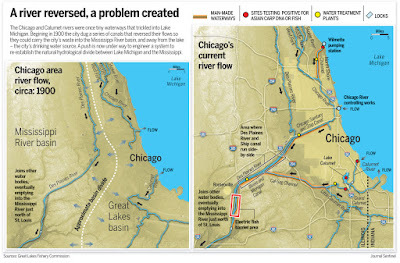 The 488-page study focuses on the Brandon Road Lock and Dam in Joliet, Ill., which occupies a critical strategic point in the Illinois River system. The plan entails a series of physical and nonphysical barriers, some using experimental technology, to keep the fish from passing through. Proposed barriers include water cannons, noise obstacles, electrical barriers, boat launches, and more. Marc Smith, the conservation director for the National Wildlife Federation, says the NWF likes the concepts, but "we also know that this is not enough." Some barriers are not completely effective on their own, but the effects of so many working in tandem have not been studied. Would the combination of barriers increase effectiveness or could they cancel each other out sometimes and let a few fish through? The complexity of all these factors together is one reason the Corps says the report, which was due in February, was delayed so long. Lawmakers and environmental groups complained that the delay wasted time and put the Great Lakes in danger, and introduced several bills to demand that the report be released. A dozen Democratic senators from eight Great Lakes states sent a letter to the Trump administration on April 10 requesting the release of the plan. The request took on added urgency after a live carp was discovered just nine miles from Lake Michigan, 34 miles closer to the Great Lakes than ever before, and far past an electric barrier designed to keep them out. Now the Army's old slogan "hurry up and wait" comes into play. The Corps will accept comments from the public about the plan until Sept. 21, and will schedule several public meetings to discuss the report. "After a feasibility study and series of federal and state reviews, a final report is scheduled for release in August 2019, John Flesher of The Associated Press reports. 'Congressional approval and funding would be required to get construction underway." 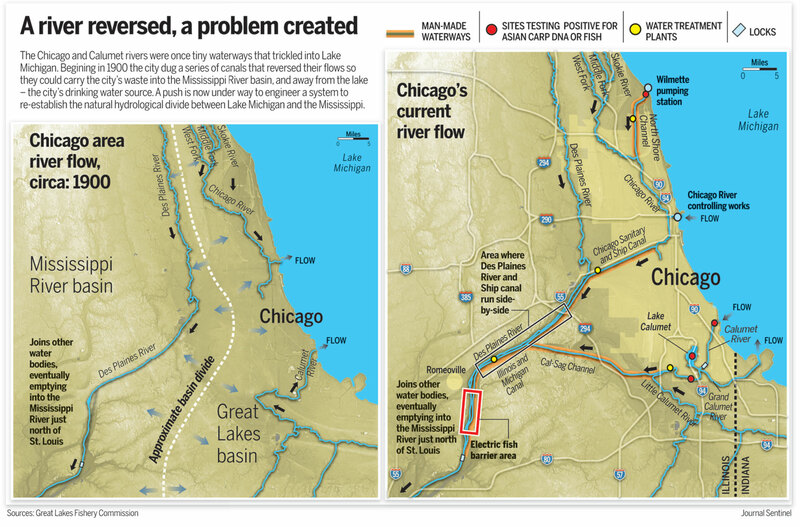 The major players all know that every carp that makes it into a Great Lake is a problem. Marc Gaden of the Great Lakes Fishery Commission said as few as 10 males and 10 females could establish an Asian carp population in the Great Lakes. They would directly compete with bass and walleye for habitat, and would "completely disrupt the food chain. 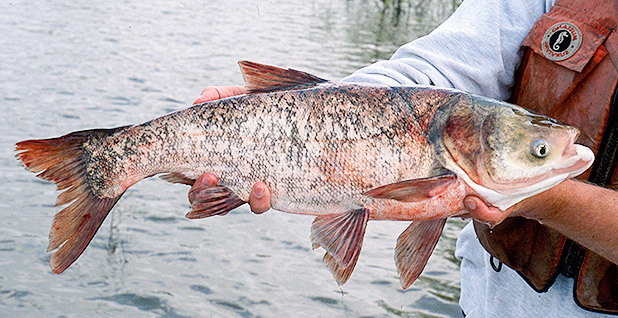 Asian carp would dine on the plankton and small plant materials at the bottom of the food chain, causing population declines in forage fish," Smith-Schoenwalder reports. Roads, restaurants and hotels won't be the only thing stressed by the influx of solar-eclipse viewers to areas along the path of totality on Monday, Aug. 21. "In an era of Instagram, Snapchat and live-streaming, they'll almost certainly need cell-phone service. But the latter could be a problem" in many small towns and rural areas along the path of the eclipse, Brian Fung reports for The Washington Post. Towns such as Madras, Ore., and Hopkinsville, Ky., have been preparing for the eclipse for years, and they've made a point to ask about getting extra cell service. "All four nationwide carriers — AT&T, Verizon, T-Mobile and Sprint — are addressing the problem by rolling out surge capacity," Fung reports. "Some are going to be cells on wheels, or COWs. Others are known as cells on light trucks, or COLTs. But whatever they're called, they're all designed to do one thing particularly well: Boost wireless capacity, in some cases by more than 300 percent." Carriers say the spikes in usage will likely travel with the eclipse's totality, and networks should be able to absorb the surge as easily as they would a major sporting event. How much will this extra cell coverage cost the small towns? Nothing, in most cases. "It's in the best interest of the providers to be here," Madras resident Brian Crowe told Fung. "They want coverage for their customers." And in Madras, Fung reports, "It'll run the other way around: The telecom companies will be paying rent." Rural residents should enjoy the extra bars while they can. The Appalachian Regional Commission annual report, released Aug. 3, outlined a bleak view of Eastern Kentucky as leaders in the region gathered to focus on its future. The report said 37 of Kentucky's 54 counties in the ARC region are economically distressed, meaning that they rank in the bottom 10 percent of the 3,113 counties in the U.S. in metrics such as poverty and unemployment. The counties, not all of them in the Appalachian coalfield, stand out in red on the latest edition of ARC's map of county economic status, newly released. Appalachian Kentucky has been struggling for decades, but "one reason for the region’s continued economic malaise is the loss of about 10,000 coal jobs since early 2011," Bill Estep reports for the Lexington Herald-Leader. "That’s more than half the coal jobs that existed that year. Those losses have spread through the economy to hurt other employers and local government revenue." The ARC report estimates that Eastern Kentucky would need to add 30,000 jobs to stabilize the local economy. Estep highlighted it in his coverage of the non-partisan economic development agency Shaping Our Appalachian Region's annual summit Aug. 4 in Pikeville. Republican U.S. Rep. Hal Rogers, who has long represented most of Appalachian Kentucky, told Estep, "It's a huge challenge." Rogers and then-Gov. Steve Beshear, a Democrat, set up SOAR in 2013 to find ways to diversify the economy in response to coal's swoon. Republican Gov. Matt Bevin co-chairs SOAR with Rogers. A huge greenhouse on a reclaimed surface mine in Pike County. AppHarvest head Jonathan Webb says his goal is to produce the first tomato crop in the fall of 2018. The state has approved up to $2.5 million in incentives for the project, would could create 140 jobs. More than 1,000 jobs have been created since 2015 through Teleworks USA, an initiative that lets people answer customer service calls from home or a local hub. KentuckyWired, a project to build a high-speed internet network across Kentucky. "The project will provide an access point to broadband in each county, but other providers will have to extend the service to individual homes and businesses — what's called “last mile” service," Estep reports. The project is a key effort for SOAR, but has run into delays, such as agreements to use utility poles. Here's an upcoming online webinar for reporters covering health, energy, the environment, coal mining or related topics. It's presented by the National Academy of Sciences' Committee on the Potential Human Health Effects of Surface Coal Mining Operations in Central Appalachia, and will be presented by Dr. Jonathan Borak from 3 to 4 p.m. EDT, Aug. 15. Borak will present his research related to coal mining and human health, and will take questions from committee members. For more information about the ongoing, 24-month study, click here. Allow a few minutes for the meeting to load or to download software if needed. Once the meeting as opened, look for the icon that looks like a phone with the text "Connect to Audio." Click this button or "More Options." For best audio, select the "Call Me" option. Enter your phone number and you will receive a call linking you to the meeting. E-mail Remy Chappetta at rchappetta@nas.edu if you have problems. This is National Farmers Market Week, designed to spotlight the role of farmers' markets in supporting local economies and improving nutrition. It's an opportunity for stories on local markets. Agriculture Secretary Sonny Perdue said in a proclamation that they contribute $9 billion to the national economy and also help "revitalize rural communities," promote rural-urban partnerships and "encourage the next generation of farmers." 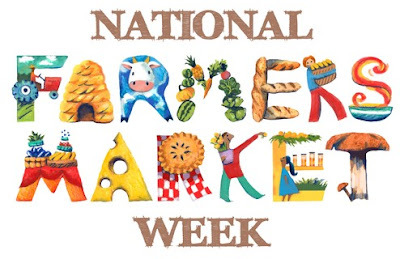 "Farmers' markets are fertile ground for teaching children where foods come from and can serve as field trip sites that introduce kids to new foods, business practices, and agricultural production," the Agriculture Department said in a news release. The Farmers Market Coalition has detailed information, including a story on successful farmers' markets across the country. UPDATE: Anthem Blue Cross Blue Shield, "one of the largest marketplace insurers in 2017, continues to scale back," Bloomberg News reports on its continually updated page that tracks insurance markets for 2018. 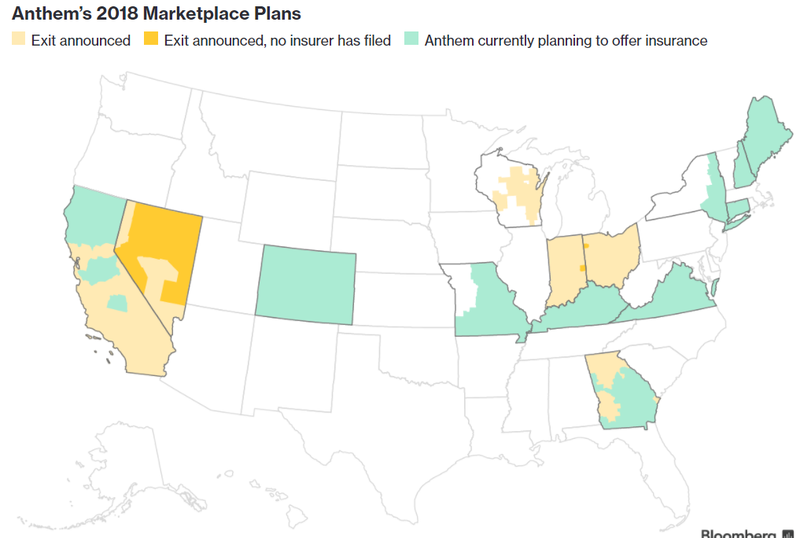 "The Nevada Division of Insurance announced today that Anthem will leave the state entirely after initially planning to remain in three counties. Anthem is also leaving the 74 Georgia counties that have other marketplace options, while remaining in the 85 mostly rural counties where it is the only insurer. According to Jay Florence, Georgia’s deputy insurance commissioner, the company initially proposed leaving all counties except one. The state’s insurance department said it would respond by banning Anthem from re-entering the market for five years, so the company chose to continue offering plans in some counties." If Congress doesn't put forth legislation to repeal or replace the Patient Protection and Affordable Care Act, President Trump has said that he would "let Obamacare fail." A Q&A from Cynthia Cox and Larry Levitt of the Kaiser Family Foundation examines the possible short-term consequences, and also what would happen if the ACA remains the law. The foundation has long been a source of reliable, detailed information about health, health care and health insurance. Is the ACA is failing, as critics say? The short answer is no, but rural markets are fragile, and insurance may become too expensive for some people who buy individual insurance on government marketplaces because they make too much (about $95,000 for a family of four) to qualify for subsidized plans. When people talk about the ACA failing, they're usually referring to the marketplace exchanges for individual insurance. Some insurance companies have left the exchanges, and premiums have increased, but the "structure of the ACA’s premium subsidies – which rise along with premiums and cap what consumers have to pay for a benchmark plans a percentage of their income – prevents the market from deteriorating into a 'death spiral.' However, premiums could become unaffordable in some parts of the country for people with incomes in excess of 400 percent of the poverty level, who are ineligible for premium assistance," Cox and Levitt say. Insurer pullouts have left one in three U.S. counties, mostly rural, with only one insurer on the exchange. At the state level, individual market competition is relatively stable. How could actions by the Trump administration affect market stability? "Despite signs that the individual insurance market is generally stabilizing on its own, certain administrative actions could cause the market to destabilize again." The administration could weaken the market if it stops enforcing or weakens the individual mandate, scales back outreach and consumer assistance, or stops making cost-sharing subsidy payments. "The combined effect of these policy changes could cause some insurers to raise premiums on some plans by as much as 40 percentage points higher than they otherwise would." Because insurers are unsure about the future, some have already raised premiums, left some markets, or made plans to exit the marketplace altogether. What happens if the market fails? Some rural areas are at risk of having no insurer offering marketplace plans in 2018. "If no exchange insurer ultimately moves into some of these counties, people buying their own insurance will not be able to get subsidies and would have to pay full price for insurance. Paying for unsubsidized insurance would be particularly difficult for low-income and older adults living in high-cost areas like many rural parts of the country. Our subsidy calculator can show the difference in cost," Cox and Levitt note. Some people may be left without full-price insurance options if insurers exit the regular market in their as well as the marketplace. What could be done to strengthen the marketplace? "One possible policy response that could receive bipartisan support would be to re-establish a reinsurance program. Reinsurance programs provide funds to insurers that enroll high-cost (sicker) individuals and can work to lower premiums. The Affordable Care Act included a reinsurance program, but it was temporary and phased out in 2016. Republicans in Congress and the administration have also signaled a willingness to establish reinsurance programs; both the House and Senate repeal bills included stability funds for reinsurance," Cox and Levitt note. Here's a lesson about how a rural newspaper rightly stuck to its guns and insisted on transparency from a local board that wanted to shield at least one of its members from scrutiny. The Joint Planning Commission in McLean County, Kentucky, voted 7-1 by secret ballot June 20 to rezone 270 acres to industrial for a coal mine, but the McLean County News challenged the vote, saying it had violated Kentucky's Open Meetings Act, "which requires that public agencies keep accurate records of all votes and actions," Stephanie Salmons reports for the News, owned by Paxton Media Group. Commission Chair Nancy Wetzel denied that any action had taken place in the meeting, but County Attorney Donna Dant confirmed that the vote did take place, but that it "did not carry the weight of law, because it did not accompany a written description of the zoning change or a map outlining the change to scale." That gave Wetzel an excuse to hold a new meeting with a public vote to avoid "any appearance of impropriety." The coal company, Hartshorne Mining Group of Australia, obligingly filed an amendment with a legal description of the property. On July 20 the commission met again and voted 7-1 to recommend the zoning change; the lone dissenter was revealed to be commission member Tom Howard; he declined to comment on why he does not support the rezoning. The McLean County Fiscal Court, the county's legislative body, which approved first reading of the zone-change ordinance 4-0. Salmons told The Rural Blog that the fiscal court approved the zone change 4-0 on Aug. 4. Workers at the Nissan plant in Canton, Miss., voted nearly two to one against unionization on Aug. 4. This could leave the United Auto Workers in a weakened bargaining position in contract negotiations with Detroit's Big 3 (General Motors, Ford and Fiat Chrysler) in 2019. "The vote at the end of a bitterly contested campaign extended a decades-long record of failure by the union to organize a major automaker's plant in the U.S. South," Nick Carey reports for Reuters. The UAW also failed to unionize a Volkswagen plant in Chattanooga, Tenn., in 2014, though the vote was much closer. Jeff Amy of The Associated Press reports that the union spent close to 10 years laying the groundwork for unionization at the Canton plant, northwest of Jackson, reaching out to the majority African-American workers with the argument that workers' rights are civil rights. Union supporters say the Nissan plant has a poor safety record and switched from a pension plan to a 401(k) retirement plan. "They pointed to reduced retirement and health benefits for longtime workers, and lower pay scales for 1,500 Nissan workers who began as contract laborers in recent years. White and other union supporters said after the vote they felt those newer employees, in particular, had been intimidated," Amy reports. The UAW made the typical claim that Nissan illegally threatened workers that their jobs would be lost or their plant would be closed if they voted for unionization. The union said it will ask the National Labor Relations Board to take Nissan to trial for unfair labor practices, and filed new charges with the NLRB while the polls were open alleging that Nissan "conducted repeated captive audience meetings" and played "virtually non-stop anti-union videos" ahead of the vote. If the labor board agrees that Nissan acted unlawfully, it could order a new election. Amy reports that the UAW may file more charges with the NLRB because of claims that "Nissan provided a faulty contact list to the union, it caused a contract worker to be fired because of his union support, and a manager told workers July 28 that they would lose benefits it they voted for a union." Nissan spokeswoman Parul Bajaj said in a statement that Nissan has lived up to its obligations, and that "the UAW is again launching baseless and unsubstantiated allegations against Nissan Canton in a desperate, last-minute attempt to undermine the integrity of the secret ballot voting process." We started reporting the impact of chain dollar stores on small, rural stores more than a year ago, and the trend seems to have accelerated, with reports recently from New England and Virginia, which noted that Dollar General Corp. has almost as many locations as McDonald's. The closing of a small store in his neighborhood prompted David Cross, a lawyer and historian in Albany, Ky., to write a piece for the weekly Clinton County News, which he titled "The Little Centers of Commerce and Community." It told of many other stores that have closed in the town of 2,000 and county of 10,000, one of the most rural in the United States. Albany is home to a Dollar General Market, the company's expanded version of its original stores. "Sadly, the days of the community country store are nearly gone," Cross writes. "There are many factors to the demise of such little places; people are more mobile, the world is on wheels, and there are Dollar General Stores every few miles. We all have memories of our visits to the little country store, where talk was the most important commodity. Let's hope the little stores that remain hang on for a long time; they're not just the closest place to get a soft drink or a loaf of bread, they are also the place where you might actually get to know your neighbors."